Albert Storace reviews a concert dedicated to Chopin that was held in celebration of Poland’s first centenary from independence. It was a fine way to celebrate the first centenary of Poland’s achieving independence, exactly two days after that event, with a remarkable all-Chopin piano recital at the Manoel Theatre. 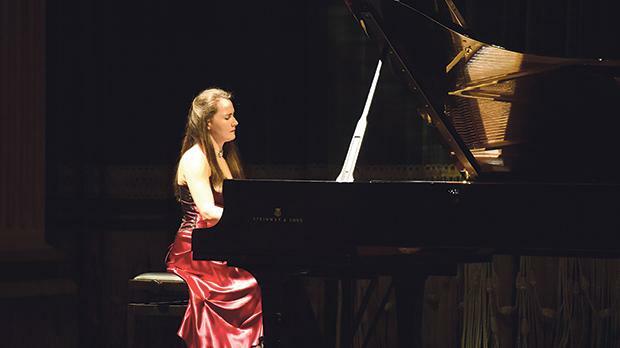 It was very fitting indeed that the job was entrusted to a very talented Polish pianist, Maria Ludwika Gabryś. The genius of Fryderyk Chopin is shared and admired by the whole world. An all-Chopin recital is a guarantee of a full house or almost, as was this recital at the Manoel. Chopin’s work, so very Polish at its roots, belongs to humanity and many have been the great pianists who interpreted his work very admirably. Being Polish adds that special ingredient when a pianist of the calibre of Maria Ludwika Gabryś presents a wide cross-section of Chopin’s output, prolific despite his short life. What emerged was an outstanding foray into various forms and genres, with great musicality, technical brilliance and an expressive way which could only be termed poetic. This programme was all from the 1830s, with one exception left for the very end. That quintessential Polish genre, the polonaise, in this case in C sharp minor, Op. 26, N. 1 made an immediate impact with is fiery opening allegro appassionato, moved into calmer waters before returning to the initial mood. The much-loved Fantaisie-Impromptu in C sharp minor, Op.66 swept all before it with a deft clarity of touch and some disarmingly tender moments. While Chopin’s waltzes are not really meant to be danced they still remain an important and popular part of his opus. Gabryś did not fail to perform some when she played all the Op. 34 set of three waltzes - the very popular rather robust N., 1 in A flat Major, the contrastingly more delicate N. 2 in A minor and the light-hearted, fast and popular N. 3 in F Major. Throw in a dreamy nocturne she did, too, namely the wistful E flat Major Op. 55, N. 2. The recital’s first half ended to great audience acclaim with the Andante spianato and Grande Polonaise Brillante in E flat Major, Op. 22 with its well-projected contrasting sections. Before proceeding with the second half, the pianist addressed the audience saying that Chopin’s mazurkas represented to her the very essence and soul of the composer and, therefore, they are her great favourites. It is not that this poetess of the keyboard had not put her heart and soul in all she had hitherto performed; still the mazurkas she chose to perform were even more exquisite. It so happened with the C Sharp minor, Op. 6, N. 2, the B flat Major, Op. 7, N.1 and the A minor, Op. 17, N. 4. This journey continued with two nocturnes a genre Chopin perfected with two fine examples given here: the C sharp Minor, Op. 27 N. 1 and the latter’s even more famous, catchy companion piece, in D Flat Major, Op. 27, N.2. The grand finale was Chopin’s very passionate, vigorous, patriotic clarion call: the aptly named Heroic Polonaise in A flat Major, Op. 53. What a performance. The recital was presented in collaboration with the Ambassador of Poland to Malta and the Embassy of Poland to Rome cultural office.